More changes on the First Avenue restaurant strip. South Brooklyn Pizza, which filed for bankruptcy protection last August, is still slinging pies. 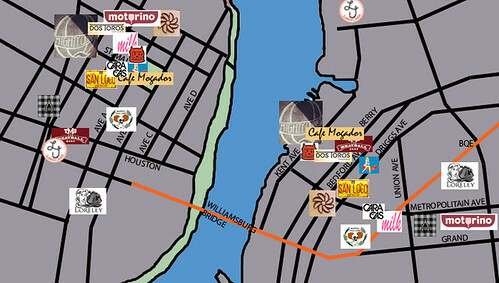 It had once planned to expand into the former Rubens Empanada space next door. 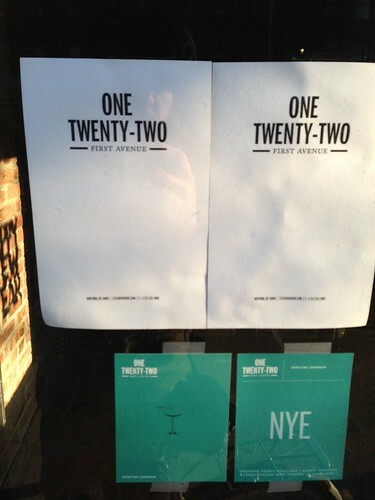 Instead, we have a new contender, One Twenty-Two First Avenue. Meanwhile, the unusual taco-gyro-falafel haven, Mediterranean Grill and Tapas has morphed into Efendi. 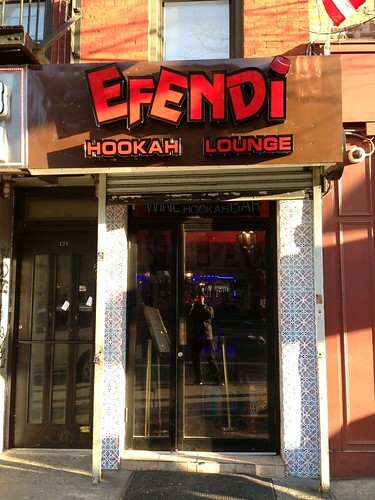 It looks like a reasonable bet that the space has resolved its identity crisis by plumping conclusively for the Middle East: “efendi,” of course, is Turkish for lord and master, and the eagle-eyed will notice that hookahs have entered the equation. As David Schwimmer’s East Sixth Street mansion nears completion, residents displaced by Hurricane Sandy are getting a little more help this week. Listings geared to their needs are being posted in a special section at the no-fee rental site Urban Edge. Reports say landlords will strive to be flexible about length of lease and security deposits. A less depressing way to get your life turned upside down will become available if plans for a flying trapeze center at Hamilton Fish Park come to fruition. On the party side of the street, get your vintage frock out for a batch of 1950s cocktails and Christmas cartoons like “Suzy Snowflake” at the Merchant House Museum — and be sharp about it. Last Friday’s shindig sold out. If you’re looking for sustenance, Mighty Quinn’s, which recently shed its plywood in the old Vandaag space, is strongly rumored to be unveiling its slow-smoked brisket today. 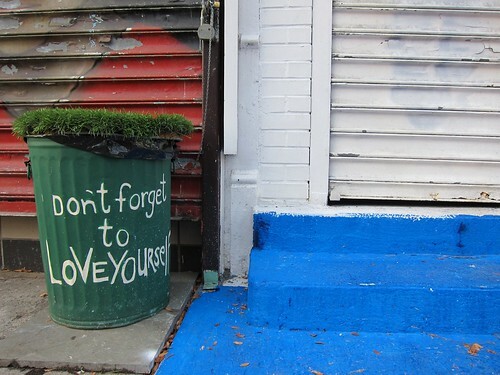 But if you’re just looking to stay home and browse through pretty neighborhood pictures, consider Bowery Boogie’s selection of the year in Instagram. Joann Pan Opening on Friday, Zen 6 will serve New York-style ramen and succulent gyoza dumplings. 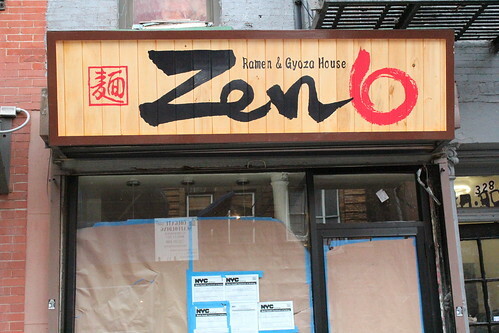 The owners of Noodle Cafe Zen on St. Marks Place and Sushi Lounge on Avenue A plan to open a ramen joint on Curry Row by the end of the week. Hideyuki Okayama said Zen 6, in the former Chiyono space on East Sixth Street, will serve “New York City-style ramen,” meaning steaming bowls of house-made noodles set in a rich broth and topped with unconventional ingredients such as soft-shell crab, oysters and spicy fried calamari. Traditionalists can order miso ramen with corn, meat, egg and vegetables; shio ramen with chicken broth, salt, meat and egg; or tsukemen ramen with tender meat and baby bamboo. Next month, the eatery will give away an order of pan-fried gyoza (dumplings stuffed with beef, pork or vegetables) with any order of ramen. Locals craving East Village Thai’s finger rolls, peanut sauce-drenched chicken satae sticks and the pad thai dish that The Daily News recently declared one of the “best of New York” will have to go elsewhere for now. 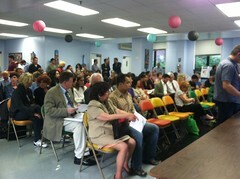 We’ve reached out to Jakobson Properties, the landlord of 32 East Seventh Street, for more information. Interior shots: Alexa Mae Asperin. Food shots: Zandy Mangold. That’s why, at her new Clinton Street restaurant, she’s staying away from it. “We eventually want to do pork brains, ears and just everything,” she said. Pig and Khao, her project with the Fatty Crew Hospitality Partners (Fatty Crab, Fatty ‘Cue) opened for dinner tonight, with a Thai-Filipino menu (below) inspired by the year Ms. Cohen, whose mother is Filipino, spent in Asia. After riding out a wave of opposition in March, Bikinis Eatery will open its doors this Saturday. 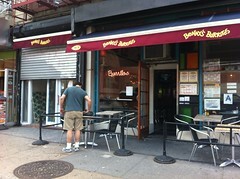 The tapas bar on Avenue C isn’t selling two-piece swimsuits; it specializes in the Spanish sandwiches of the same name. According to co-owner Karina Correa, good ones are hard to find in the city, so she’s aiming to “marry both Spanish and American flavors” via menu items like the classic jamon y queso (ham and cheese), a “Gordito” (pastrami, turkey, ham, Swiss cheese, pickles and mayo) and vegetarian options like a smoky portobello blend and a tomato baguette with sea salt and Spanish olive oil. Mr. Clancy does not own the Mama’s trademark, but wanted to distance himself from the new restaurant that his former landlord, Richard Freedman, plans to open with the possible name of Mama’s Eats and a similar menu of southern comfort food. Mr. Freedman, who also owns Mama’s Bar adjacent the restaurant space, said the new eatery would open in the next few months. Stephen Rex Brown Porsena’s bar back in July. Porsena’s next-door bar will open tomorrow for lunch and dinner. The Local spotted chef-owner Sara Jenkins prepping Extra Bar this evening, and a Tumblr page lists the small plates (e.g. lemon potatoes with caviar and Surryano ham with spicy greens) that will comprise the “fleeting and changing menu, reflecting inspirations from the Mediterranean, random travels by Sara, and found ingredients.” Ms. Jenkins said the narrow space, which is made up mostly of a bar and boasts a map of Rome on one wall, won’t be ready for photos until Friday; in the meantime the chef has been posting images of dishes such as yellowfin tuna puttanesca, gulf shrimp and black spaghetti, and a salad of yellow zucchini, tomatoes, lemon vinaigrette, pecorino Romano, herbs. See Porsena’s Twitter feed for more. When we last updated you on Porsena’s annex in July, Ms. Jenkins had a few words for Porchetta.Hog, the relative newcomer that she said was “so pathetically copying” her other joint on Seventh Street, Porchetta. Well, guess what? A sign on the door of that fine establishment indicates, without explanation, that the place is “temporarily closed.” A call to the restaurant went unanswered. Further down Seventh Street, Greek favorite Pylos is also temporarily closed – “for renovation,” according to a sign on the door. 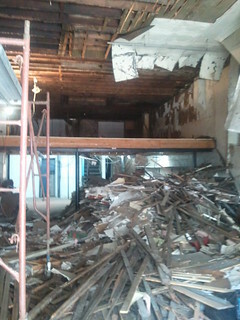 Work was being done at the restaurant this evening and an outgoing phone message indicated it would reopen Sept. 8. Update | 11:00 p.m. Porsena has sent over its lunch and dinner menus, below. Back in June, Paul Gerard, the chef who took over the short-lived Zi’Pep space on Ninth Street, told us he would open Exchange Alley with Billy Gilroy, a partner in West Village hotspot Employees Only. So what does “New York with a New Orleans flair” look like? Watch our video of yesterday’s opening night festivities to find out. Yesterday Mr. Gerard, who was a chef in New Orleans before most recently serving as chef of Soho House, said he would be preparing a frequently changing menu using, in part, ingredients from a backyard garden that he hoped would be used by local schoolchildren. “Some days I’m enamored with pasta, other days I’m enamored with tomatoes,” he said. “By the time the tomato season is just about over, I’ll be enamored with root vegetables and game.” The bar, backed by mirror-finished stainless steel, will serve beer-and-wine cocktails till 2 a.m. on weekends. Timothy Davis Construction work at Paulaner Brauhaus. High levels of lead have been found in dust that shot up from the incoming Paulaner Brauhaus and blanketed an upstairs apartment, displacing a family of seven and causing the city to issue a stop work order. The dust-up occurred last Wednesday at 265-267 Bowery, where the brewhouse and beer hall is being built on the ground floor. On June 25, ceiling work sent a plume of dust through the floorboards of a second-floor loft, forcing its residents to seek shelter elsewhere while testing for toxic materials was conducted. Today, a health department representative said the levels of lead found in parts of the apartment were six times what the Environmental Protection Agency finds acceptable. According to the testing company’s report (posted below), the highest concentrations were found in the living room, where Mr. Davis said the children’s books and toys are kept. 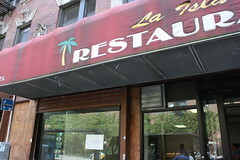 La Isla, on 14th Street, stopped serving cuchifritos, empanadas, rotisserie chicken and other Caribbean staples this week, and will officially give up its space between Avenues A and B on Monday. Yesterday, it was empty but for a refrigerator, a steam table and a small plant by the front window, which an employee said had been there since La Isla opened a almost decade ago. Somebody call Michael Moore: there’s been a Factory closing on 14th Street. The mysteriously-closed Meatball Factory is a goner and will become a seafood restaurant next month, its new owner said today. Miha Khondoker, who previously owned the West Village’s now-closed Mixx Lounge, said he’s busy deciding on a name and finalizing the new restaurant’s menu and decor. Suzanne Rozdeba A new awning over the Fat Sal’s space. Benny’s Burritos is expanding into its onetime takeout space. 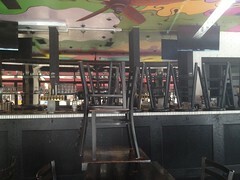 Al Landess, a manager at the Mexicali spot on Avenue A said the restaurant let go of the next-door nook several years ago for rent-related reasons, and it became Fat Sal’s Pizza. “When the pizza place left,” he said, “we decided to jump on it again.” Mr. Landess said he hoped to expand into the space and add more tables within a month. You may have also noticed on Community Board 3’s July agenda that Croxley’s Ales plans to inform the SLA & DCA Licensing committee of an alteration at its July 16 meeting. 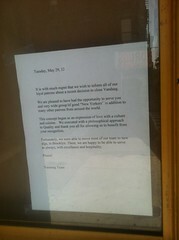 The agenda notes an “expanding space,” but a manager at the restaurant knew nothing of plans to expand. We’ll let you know if we hear more. 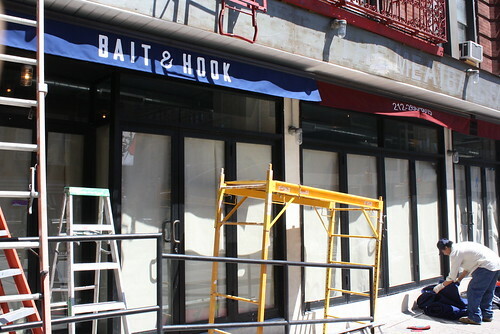 Back in April, we brought word that David Ravvin, a 29-year-old graduate of N.Y.U.’s Stern School of Business, planned to open a quick-service sushi spot in the former home of Cotan, on First Avenue near Saint Marks Place. Soon after that, its plywood got defaced (to the delight of neighbor JoeDough), but after a fresh coat of paint, the restaurant opened to friends and family just minutes ago, and will open to the public tomorrow. 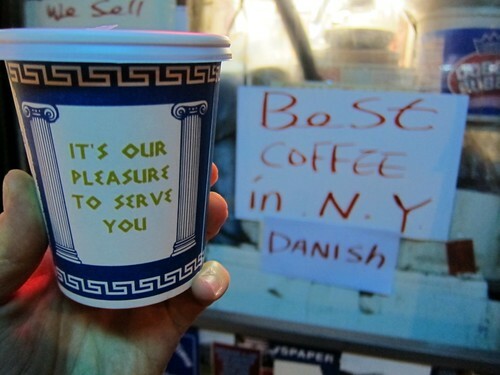 Community Board 3 may have set a record last night: with 27 items on the agenda – including Ninth Street Espresso’s bid to serve beer, a pitch for a German beer hall on the Bowery, and a Starbucks location’s attempt to win back its sidewalk seats – the board’s State Liquor Authority committee meeting ran past 2 a.m. 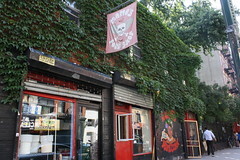 The main event: the owners of B-Side are hoping to open a spot at East Broadway and Clinton Street that would be “totally different” than the punk bar on Avenue B and would include a chip shop purveying “the best fish, chips and falafel you’ve ever had,” according to owner Sivan Harlap. First, the good news: Just a week after its paint job, Calliope has opened in the former Belcourt space. Grub Street has a look inside, and you can find the menu at Menupages. Now, the bad. A couple blocks up on Second Avenue, Vandaag has become the latest ex-Villager. Thursday morning, The Local spotted a sign on the window of the darkened Dutch restaurant indicating that it was closed due to plumbing problems. 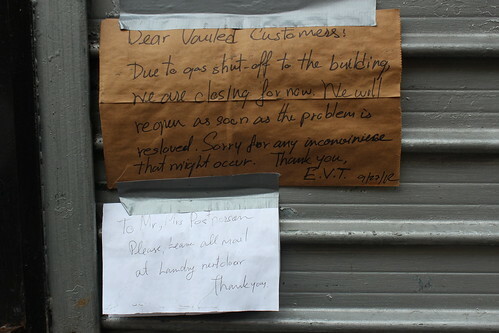 Today, a new sign regretfully informs patrons of a “recent decision to close Vandaag.” The note concludes, “Fortunately, we were able to move most of our team to new digs, in Brooklyn,” meaning Woodland in Park Slope. Vandaag opened in the former Bounce Deuce space at Second Avenue and Sixth Street and garnered two stars from The Times and then another favorable review from The Local (“Perhaps Vandaag, too, will disappear before long,” worried James Traub back in November of 2010. “I hope not; it’s the only Dutch-Danish restaurant in the neighborhood.”) Unfortunately, it was under-performing even before it lost its chef back in August. Anyone know where to go now for a nice shot of aquavit? 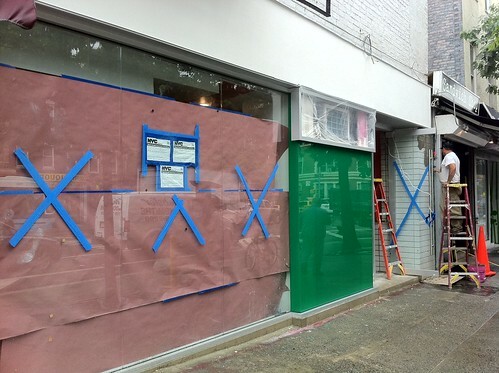 The construction shed at Iconic Hand Rolls, which got memorably defaced last month, has come down; earlier today, workers were painting the facade of the building on Second Avenue near St. Marks Place. 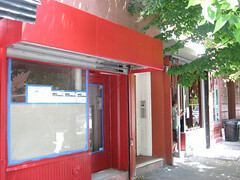 Seems everyone’s in a painterly mood: Calliope was sporting new colors earlier this week, and yesterday we spotted work being done at Michael White’s forthcoming pizzeria, Nicoletta, at Second Avenue and 10th Street. Here‘s how it looked today.